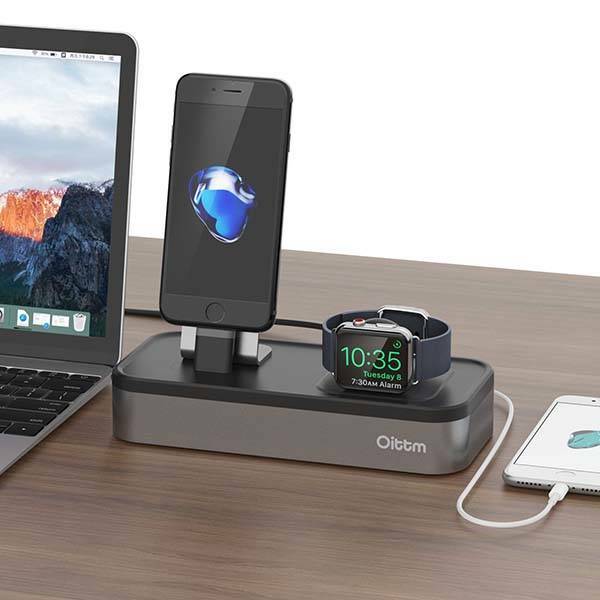 Oittm iPhone Apple Watch charging station not only charges your phone and watch, but also charges other mobile devices with three extra USB ports. Like the idea? Let’s keep checking. 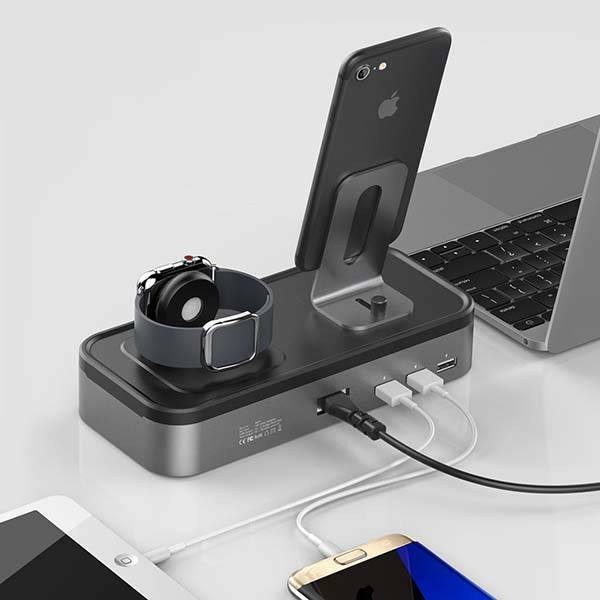 This is a well-designed and multi-functional aluminum charging station that measures 7.9 x 3.5 x 1.5 inches and weighs 7.8 ounces. As shown in the images, the charging dock has a minimal and elegant appearance design, and the body is made of aluminum plus ABS cover in order to deliver a durable and lightweight construction along with modern aesthetic style. Meanwhile, the compact form factor allows it to decently stay on your desk, nightstand or any surface in your room. The iPhone Apple Watch charging station works with Lightning iPhone models and all Apple Watch units, and it also supports iPad mini and iPod Touch. 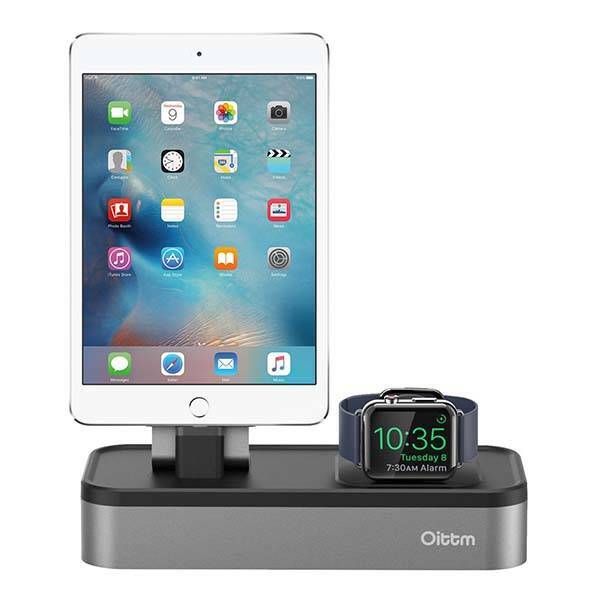 Moreover, the Apple Watch stand supports NightStand mode for easy viewing. The adjustable iPhone holder securely holds your phone in place and works with various protective cases. The portrait mode delivers a comfortable handsfree viewing experience. Furthermore, built-in cable organizer is designed to keep your desk more neat and clean. Three extra USB ports allow it to charge other mobile devices, and it automatically detects your devices to prevent them from over-current, overheating and short circuit. The iPhone Apple Watch charging station is priced at $37.99 USD. If you’re interested, jump to Amazon for its more details.